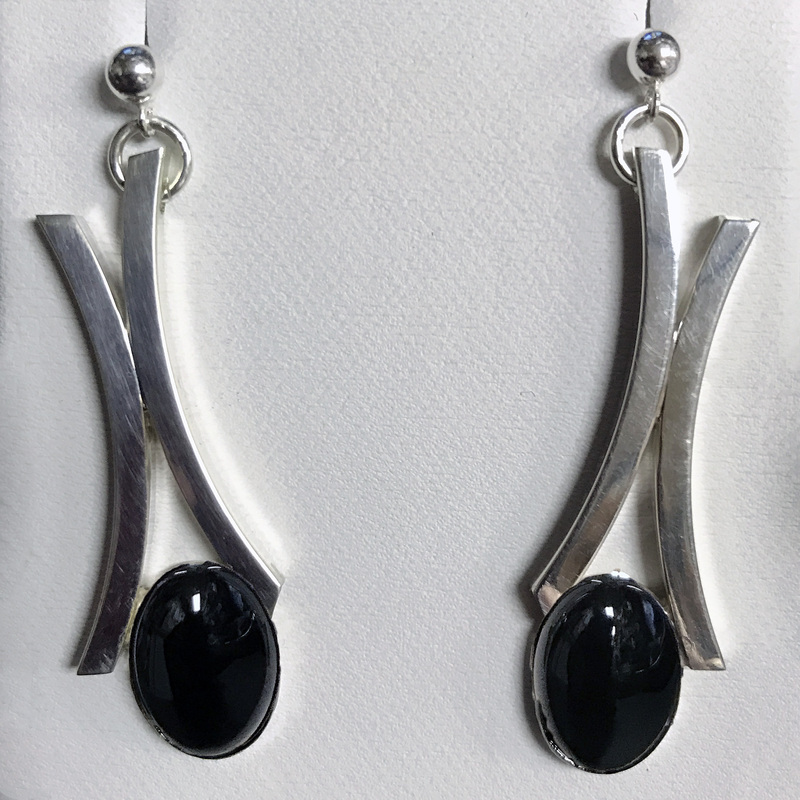 Curves Jewelry - This is a handcrafted pair of beautiful dangle earrings created from sterling silver square tubes that frame oval Black Onyx cabochon gemstones. These are light and fun and shown pierced, but available as clipped. Sterling silver earrings created from sterling silver tubes accented by an oval black onyx cabochon (14mm x 10mm). Available as pierced, clip, or screw backs.